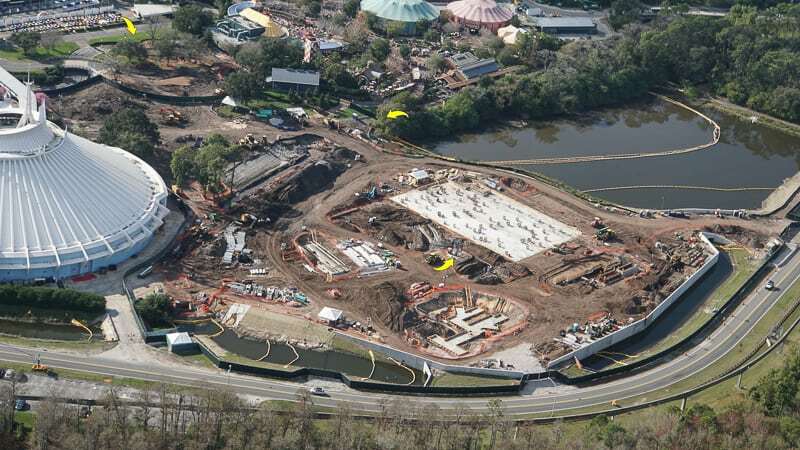 This is a TRON Roller Coaster Construction Update for February 2019 in Disney’s Magic Kingdom. 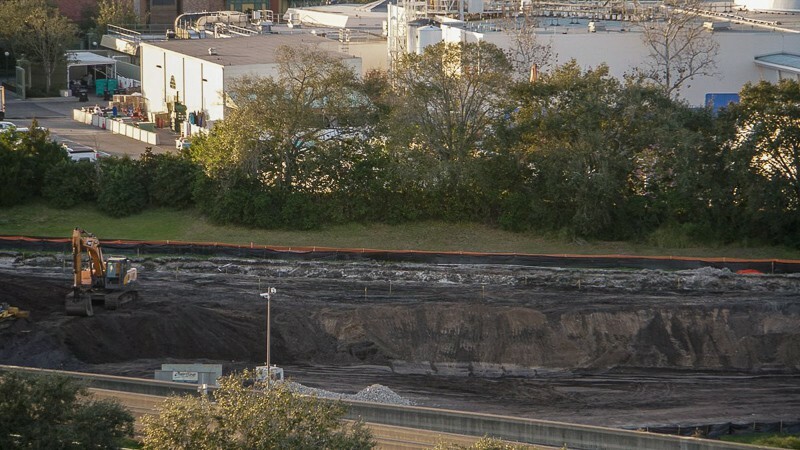 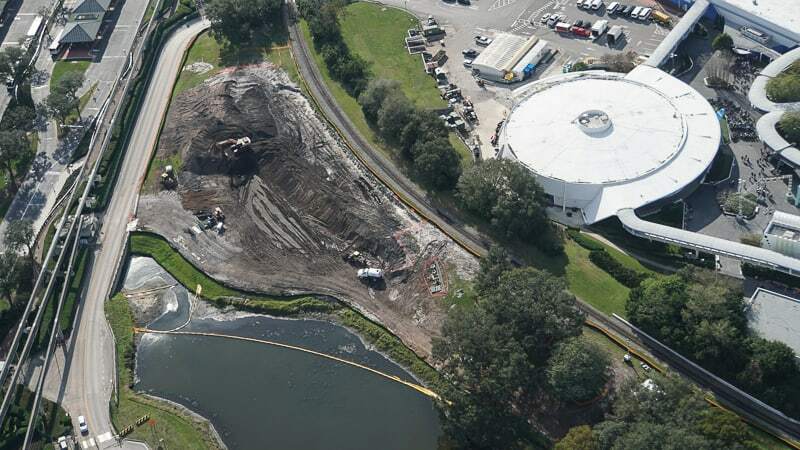 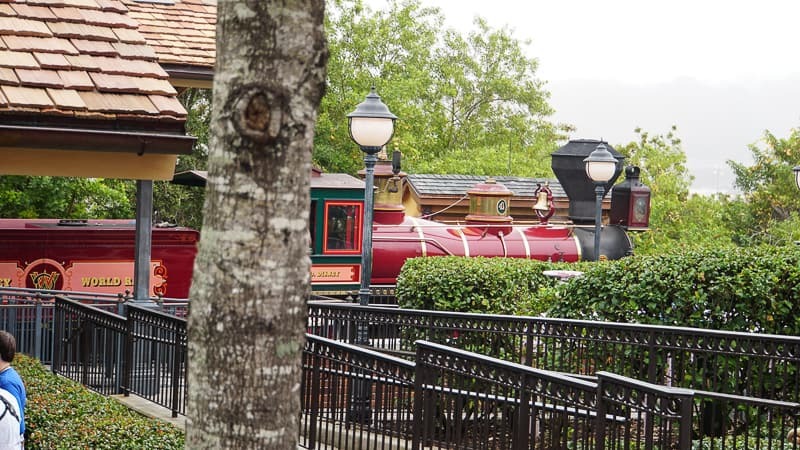 Today we are going to take a look at the foundation for the roller coaster being installed as well as the expansion of the nearby retention pond and work on the Tomorrowland Speedway and Walt Disney World Railroad. 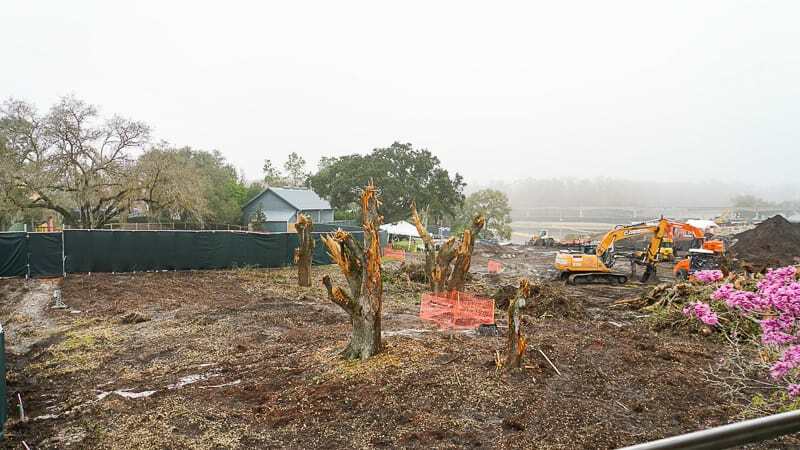 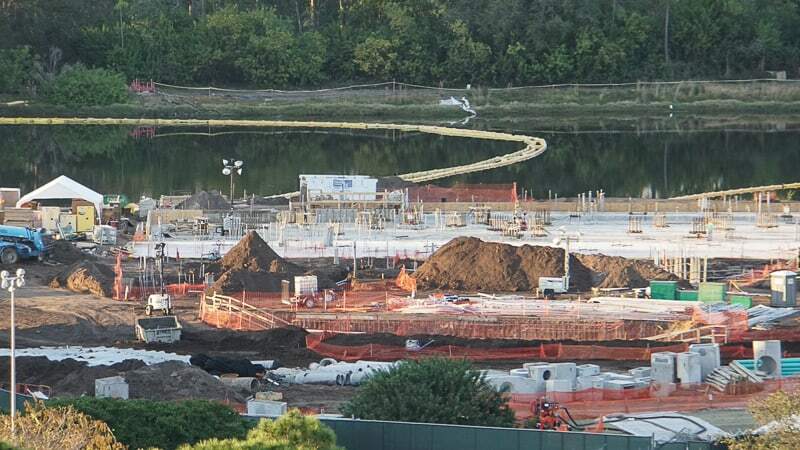 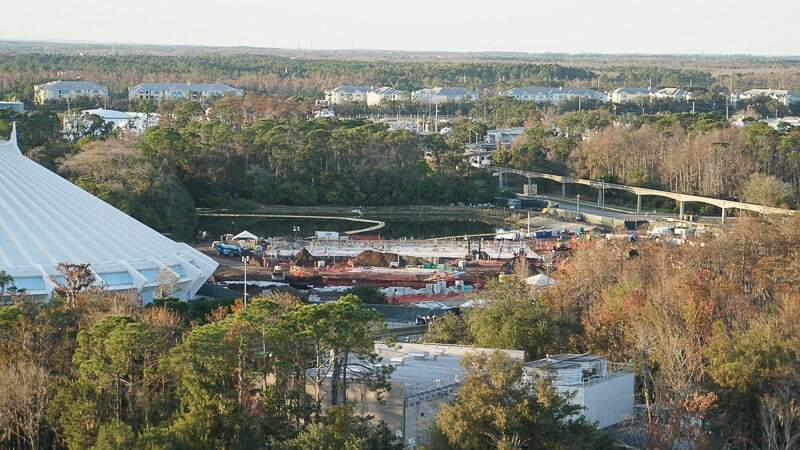 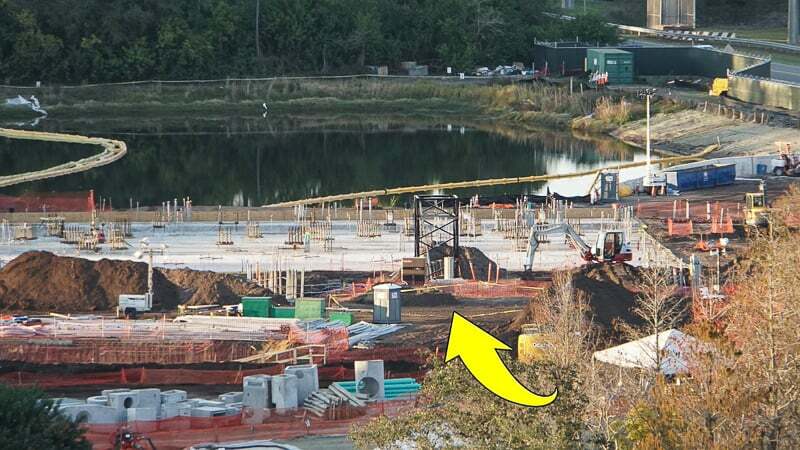 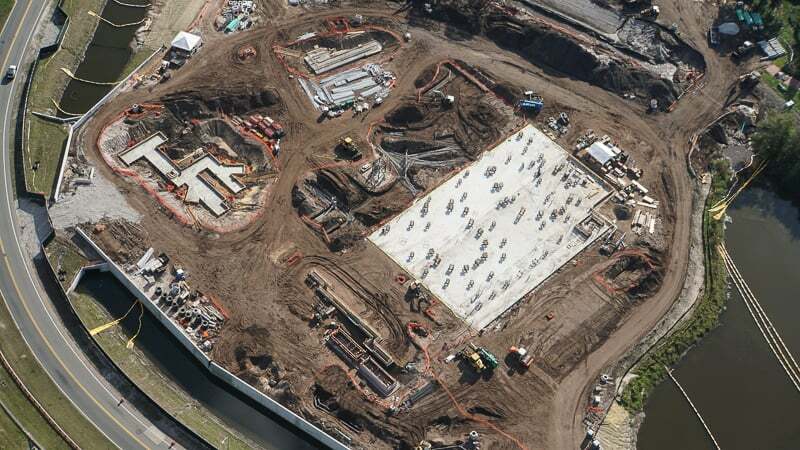 This is just one of our continuous updates on the various construction projects around Walt Disney World. 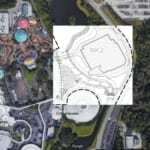 If you aren’t familiar with the TRON roller coaster coming to Disney’s Magic Kingdom, it’s essentially a clone of the super popular attraction in Shanghai Disneyland, which happens to be the fastest ride in any Disney Park worldwide. 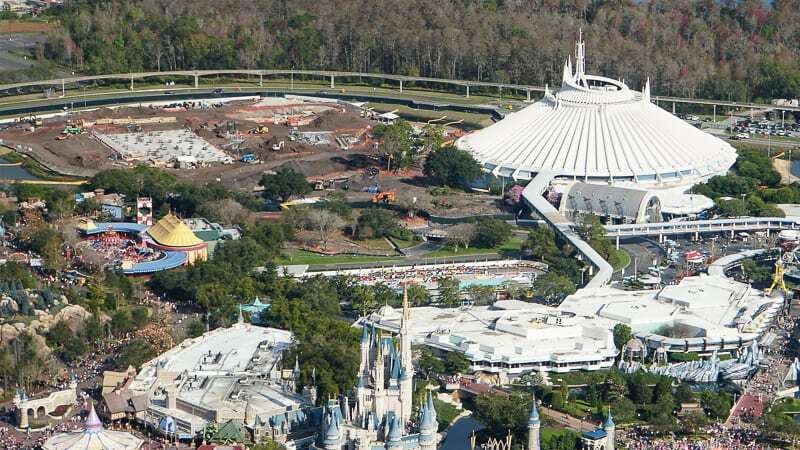 That means Tomorrowland and the Magic Kingdom are about to get a whole lot more exciting! 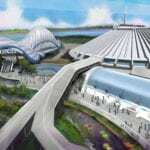 For more info about the project you can read this. 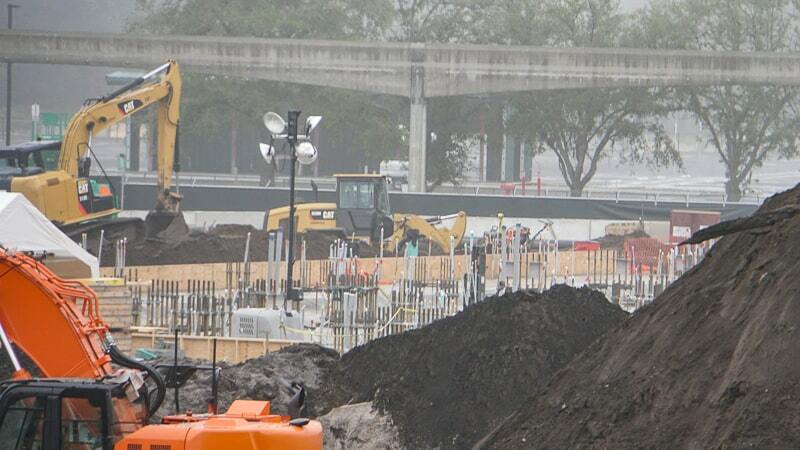 Since our last update for the TRON coaster a bunch of new things have happened, including new permits filed for the steel work which will hold the roller coaster track. 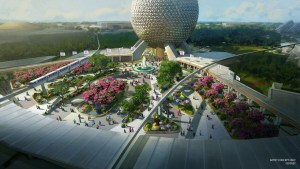 We should expect to see that very soon, but we’ll break all that down in this article. 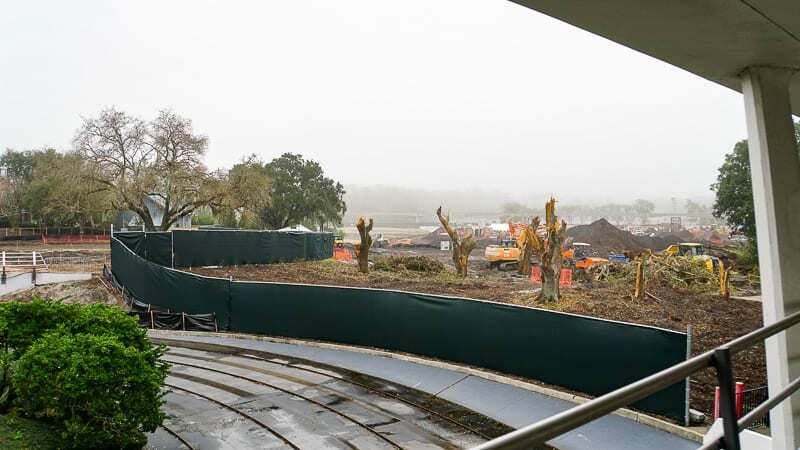 Even though the TRON coaster is going to totally reshape Tomorrowland, it won’t be visible when you first enter the land as you can see in the layout. 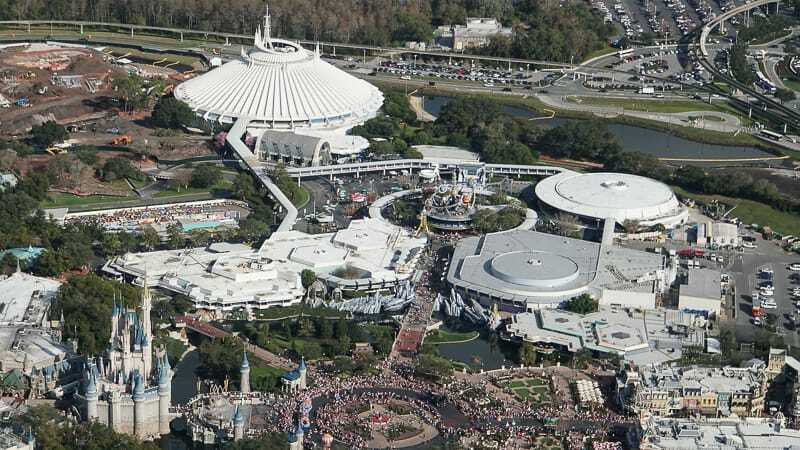 The main walkway goes through the center of the above photo bringing you to Astro Orbiter, where you will then hang a left, past Space Mountain and over to TRON coaster. 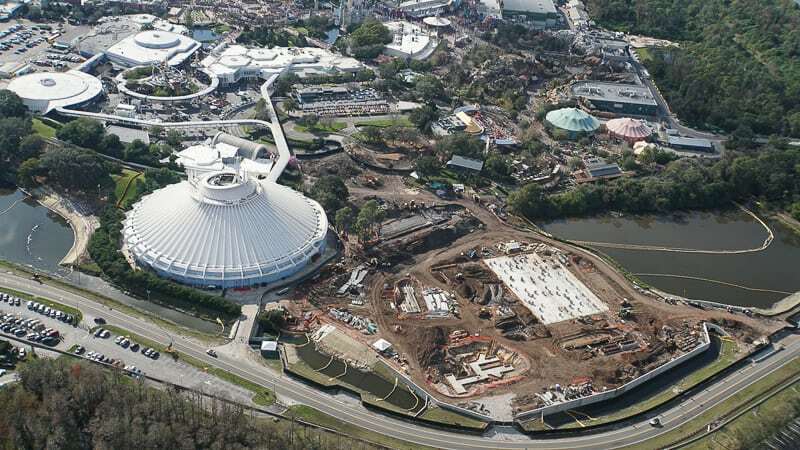 You can see the giant plot of land that has been cleared back near the berm and what a massive footprint the TRON coaster will have. 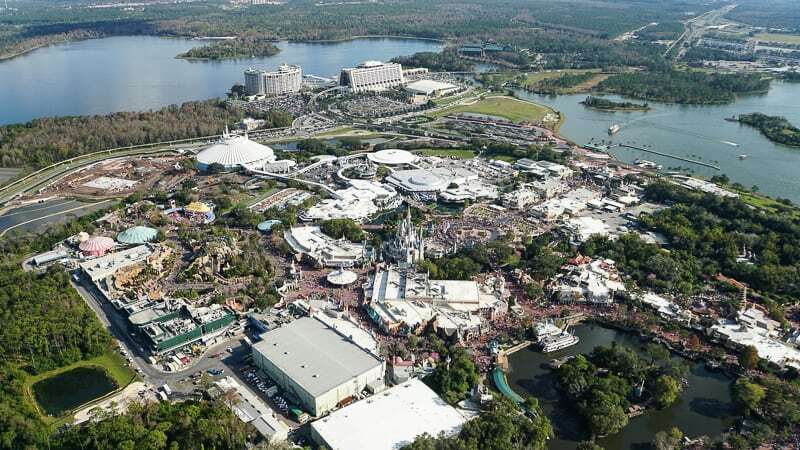 Before we look closer at the attraction foundation, let’s look at some of the surrounding land to get a feel for what’s going on there. 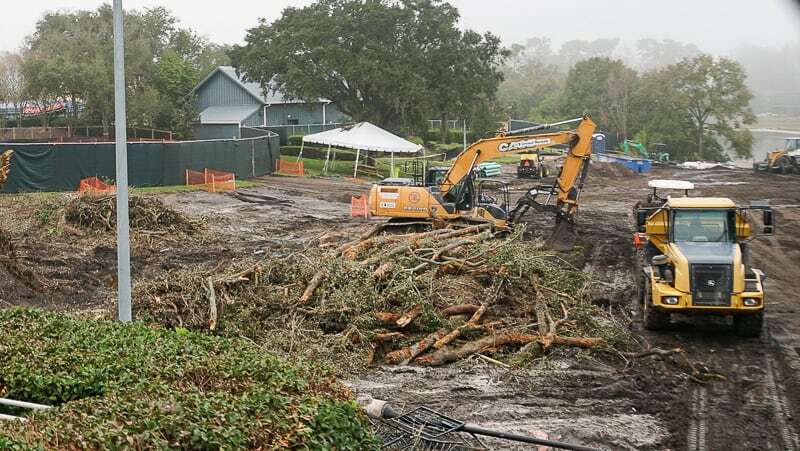 Land clearing here has been going quite smoothly and lots of trees and shrubs have been torn up for what will be a walkway leading to the TRON roller coaster plaza. 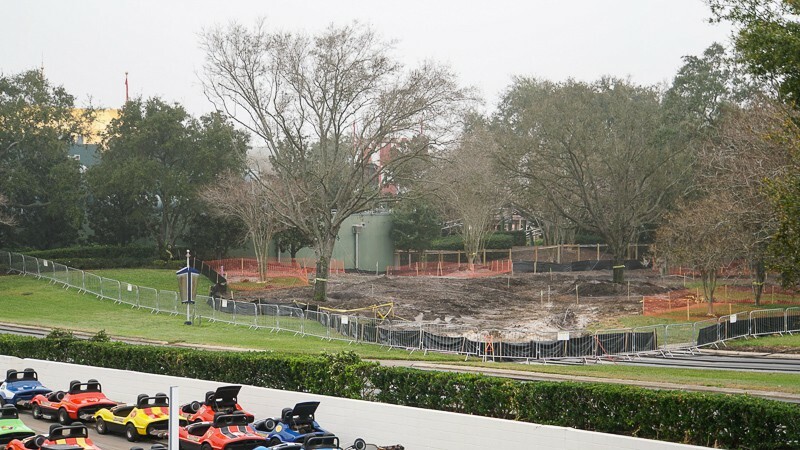 Of course one of the downsides of the TRON roller coaster being built is the temporary closure of a couple Magic Kingdom favorites including the Tomorrowland Speedway and the Walt Disney World Railroad. 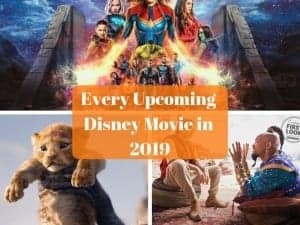 Just how far back will they go and what will be included? 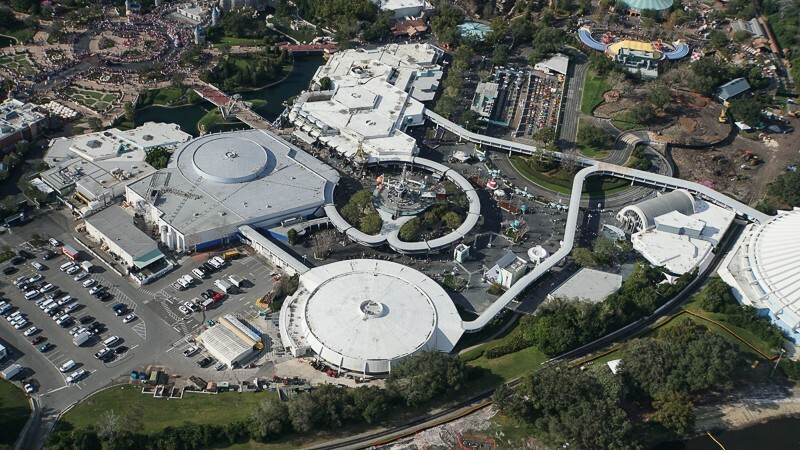 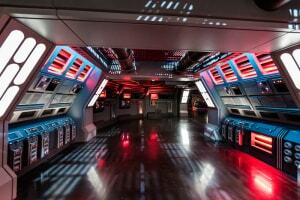 Notice the huge entrance and courtyard leading up to TRON plaza. 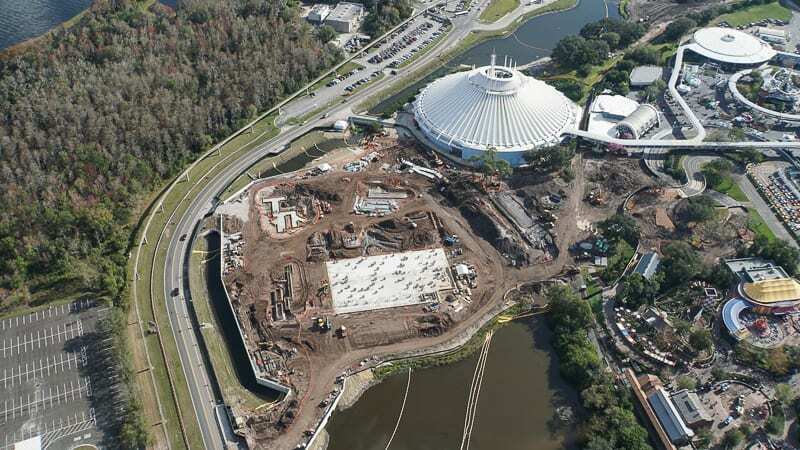 It will be a sight to behold for sure! 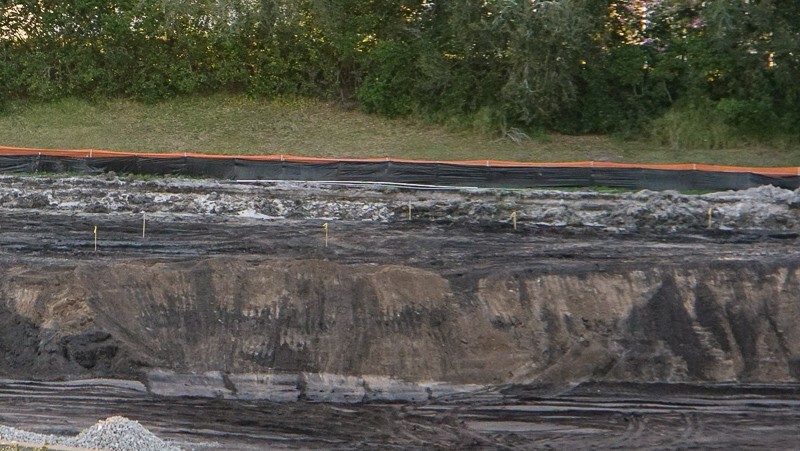 You can even see the “S” pattern it creates. 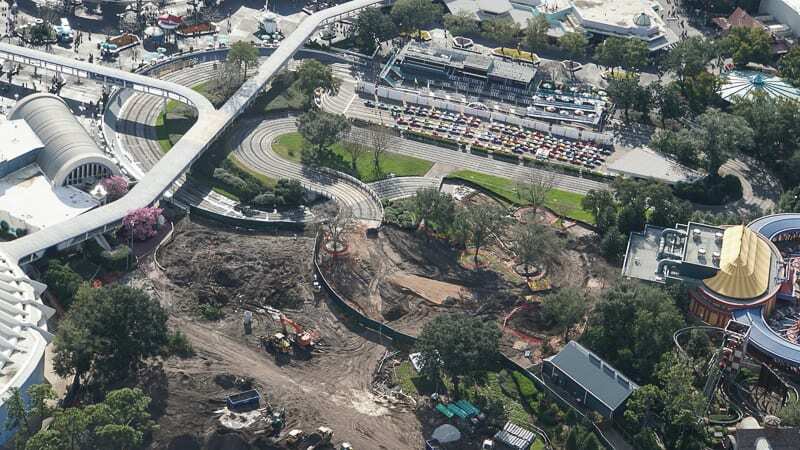 That’s it so far for this month’s TRON roller coaster update, we’ll be updating this article all month so keep checking back for more info and pictures! 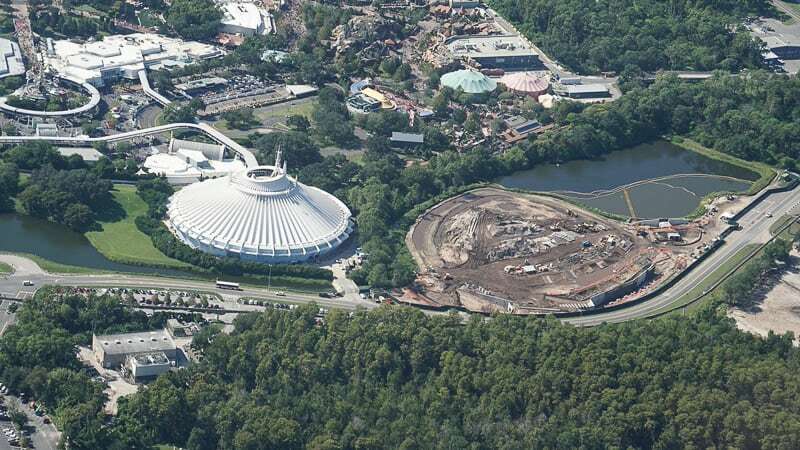 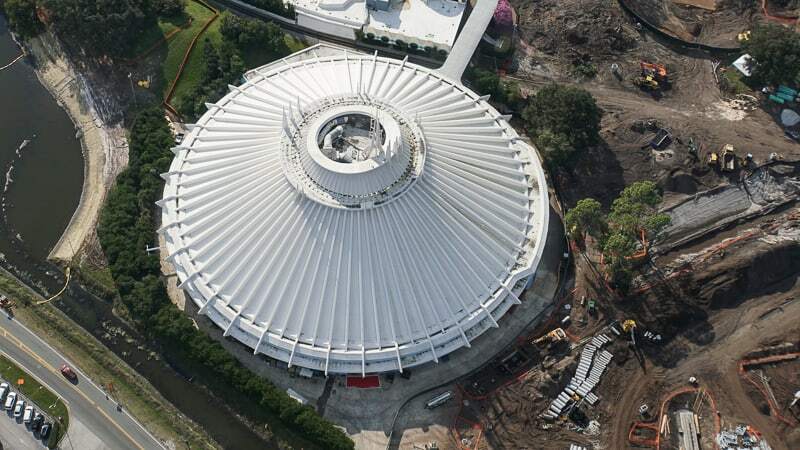 The TRON Roller Coaster will be open in time for the Walt Disney World 50th Anniversary, and Disney hasn’t given word yet about the opening date, but it should be ready by Summer 2021. 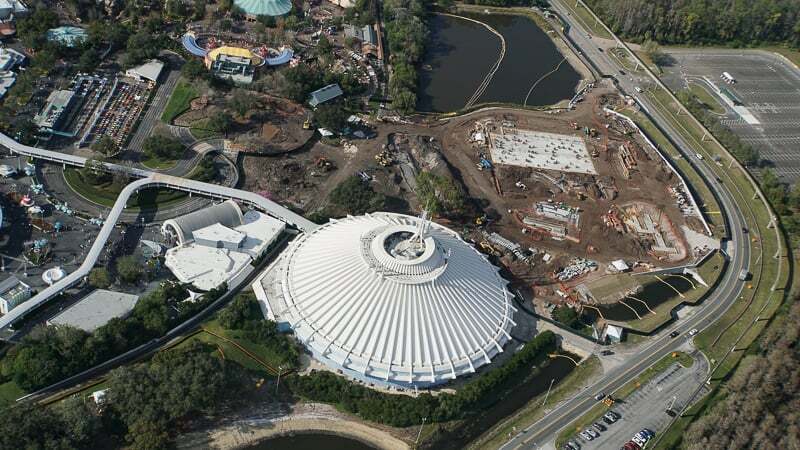 Also don’t expect much difference from the TRON roller coaster in Shanghai Disneyland as it will pretty much be a direct clone of that attraction.